Team Mare at the Keystone International Livestock Exposition (KILE) 2014 was a perfect example of good people coming together to help each other out. The hitch wagon was generously loaned by Burgundy Rose Farm and help hitching by Darkwood Farms. All of our mares have a job, they are happiest when they are hitched or riding, especially in the show ring. 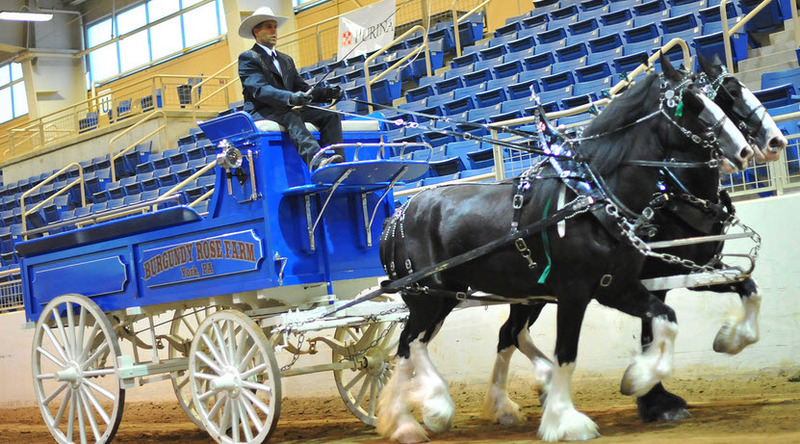 Left, Elly and Tom lope during KILE Western Pleasure Class (left), on the right Ryan drives Holly during youth cart at the Crawford County Fair 2014. 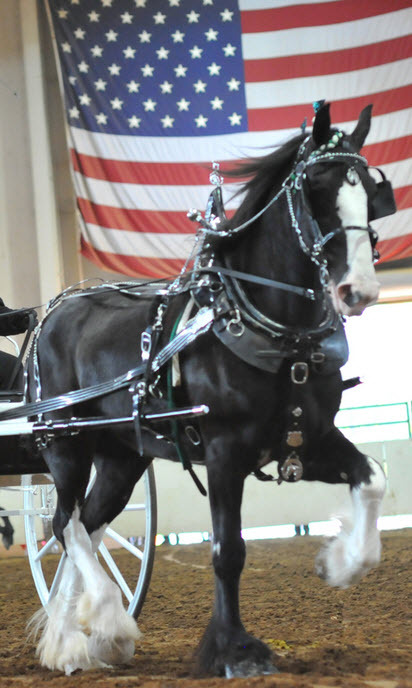 The Crawford County Fair is the largest agricultural fair in Pennsylvania and boasted 69 head of draft horses and three six-up team expositions during the 2014 show. We learned a great deal and made some incredible friends.